Valerie Maurel (Joséphine de la Baume) works for the American advertising agency J. Walter Thompson. Mr Selfridge asks her to give him advice on whether to sell make-up products on the store’s new beauty counters. 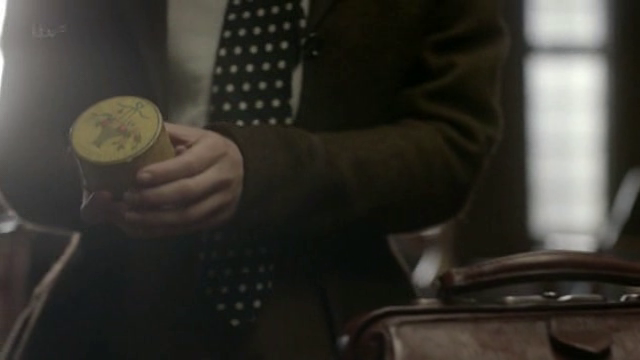 She shows Mr Selfridge and department heads some make-up items, among which a yellow loose powder box. 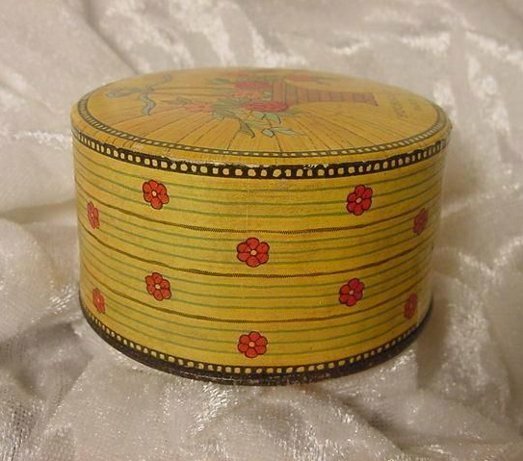 This is Houbigant Quelques Fleurs powder box, with the trademark flower basket on the lid. 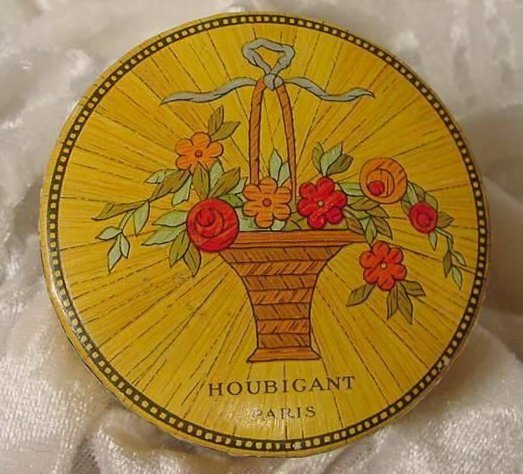 Houbigant was founded in Paris in 1775, but this specific face powder was released in the 1940s. The choice is historically inaccurate, but I must admit it’s convincing.